Just as some physicians specialize in rare conditions, I specialize in the AMT. This is a tax that potentially applies to everyone, but in practice, affects only a small percentage of taxpayers. Because of this, some practitioners may not have enough knowledge and experience with AMT to effectively review and manage its effects on a taxpayer. Tax software isn’t enough as most tax programs do an incomplete job of properly classifying and calculating for AMT. If you are subject to the AMT, I especially welcome you to visit for a review of your tax returns! I can review prior returns to see if you have overpaid, file amended returns, if needed, and help you manage AMT going forward. If you are not sure if you are subject to AMT, come in for a tax return review, you may be surprise to find that you are overpaying taxes. Need something not listed? Let’s discuss your needs. Outsourcing and contract work – hourly rates for your overflow returns, NOL carrybacks, or amended returns (preparation or review); no interference with your client relationships. 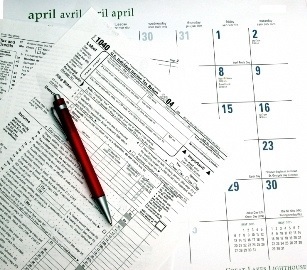 If your group would like a presentation or discussion about a tax topic, please contact me. Assistance with obtaining 501(c)(3) or (c)(4) status for your organization (pro bono service on a limited basis). Church treasurer/bookkeeper assistance (pro bono service on a limited basis).